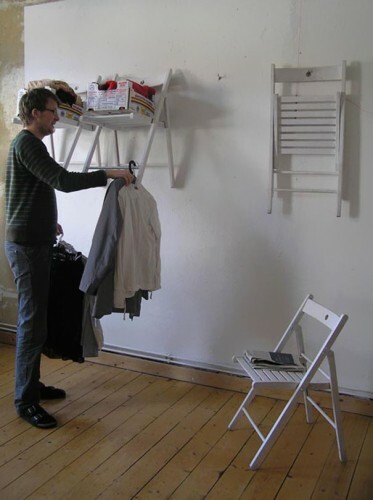 Are you stuck for hanging space for your clothes? Or maybe you’re short of extra seating when guests arrive? German designer Yi-Cong Lu has the solution. His Chairs, Up and Down and Upside Down project turns simple folding chairs into a clever storage solution. 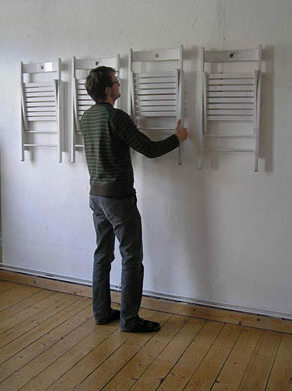 Four folding chairs are hanging on the wall, flat like a painting, without any function. 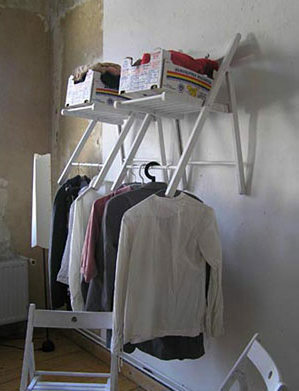 To provide some very bespoke hanging storage!